Cameron Boyce & Thomas Doherty Compete in an Apple Bobbing Challenge – Watch! 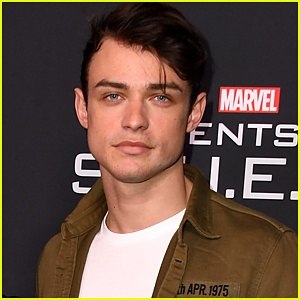 | Cameron Boyce, Thomas Doherty | Just Jared Jr.
Cameron Boyce & Thomas Doherty Compete in an Apple Bobbing Challenge - Watch! 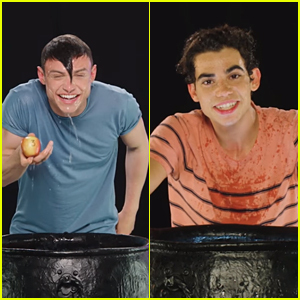 Cameron Boyce is much better at bobbing for apples than Thomas Doherty is. In two hilarious videos, the Descendants 2 stars separately fish for as many apples as possible with their teeth, and answer rapid-fire questions with each one picked up. Cameron is able to pick up three (and answer three questions) in 30 seconds, while Thomas is only able to secure two. 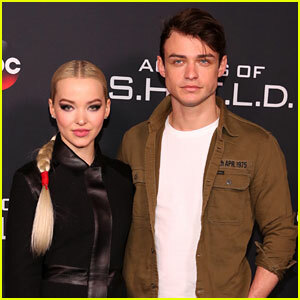 We also found out that Cam likes acting more than singing, the color red, and beating his cast-mates — and that Thomas likes the color pink and apples. Watch both of them drench their hair in the videos below! 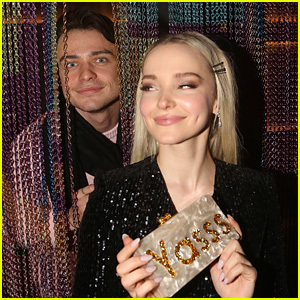 Dove Cameron & Thomas Doherty Have a Broadway Date Night! 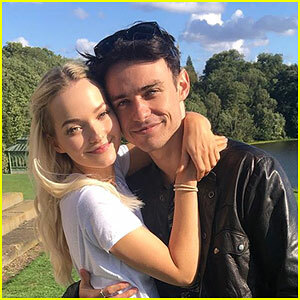 Dove Cameron & Thomas Doherty's Romantic Getaway to Jamaica Looked Magical! 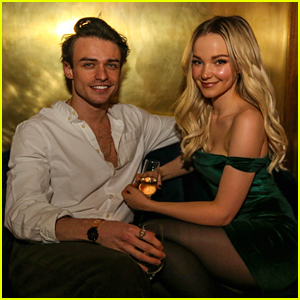 Dove Cameron & Thomas Doherty Celebrate Her 23rd Birthday in NYC! 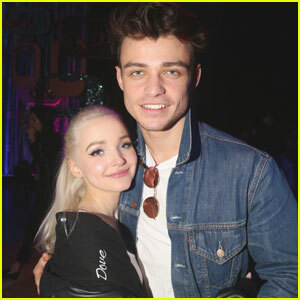 Dove Cameron & Thomas Doherty Seemingly Hack Each Other's Phones!